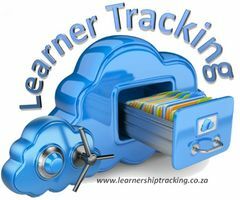 A learning management system or learner tracking system is a powerful tool to monitor your learners and stay connected to them, may that be 1 to 1000 with a click of a button. Simple to use, effective and available online. No Training needed, just login and start, or test drive our demo site. Improve compliance reporting. Learning management systems or learner tracking system can track the courses learners take and the scores they receive, allowing management to better focus training and identify needs for certifications. Combine social and formal learning for an increased overall value. Learning and learning retention is accelerated through the integration of an online method of study and allows learners to go at their own pace. Empower administration. Management will become more informed of the learning learners participate in and what topics need greater focus in creating more well-rounded learners. 4. Learnership tracking that manage the progress of a short programme or learnership. Manage current project such as short courses and learnerships that may consist out of a various modules such as unit standards to track the progress of the project and learners for SETA, Equity, SARS and BEE reporting. Also including an effective communication module between the provider and the learner. YES-That’s us!